I know I've procrastinated this post for a year now. 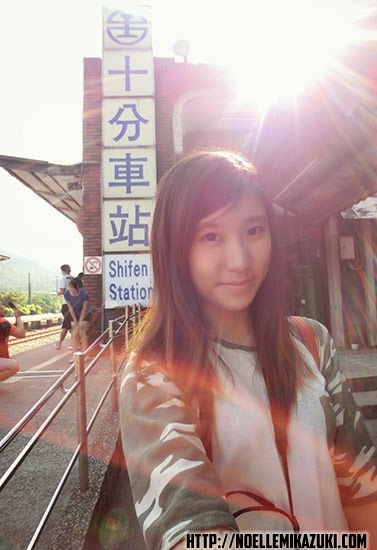 But if I'm not wrong, that was filmed in Pingxi, not Shifen lol. So first question most people ask, how do you get there? 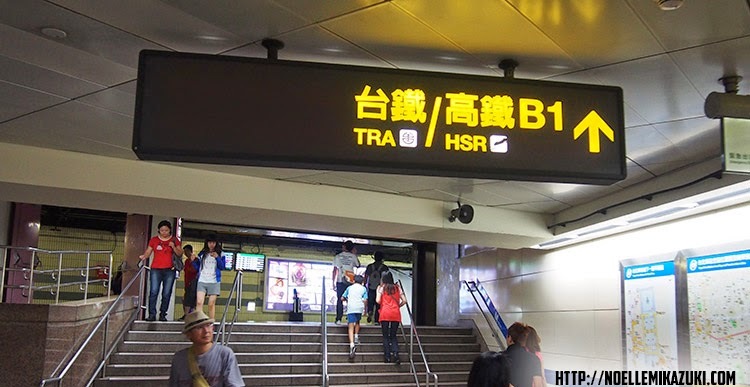 When you get to Taipei Main Station (MTR), tap out and follow this sign below that'll lead you to TRA. 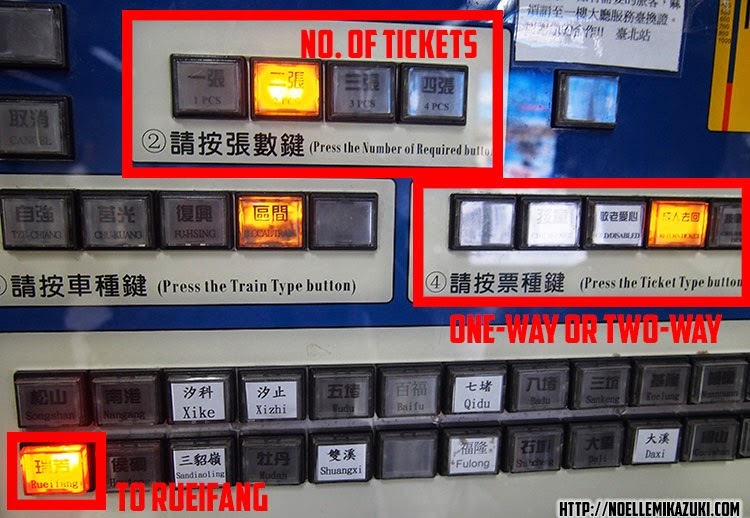 You'll see this confusing-many-buttons machine and that's where you'll need to get your tickets. 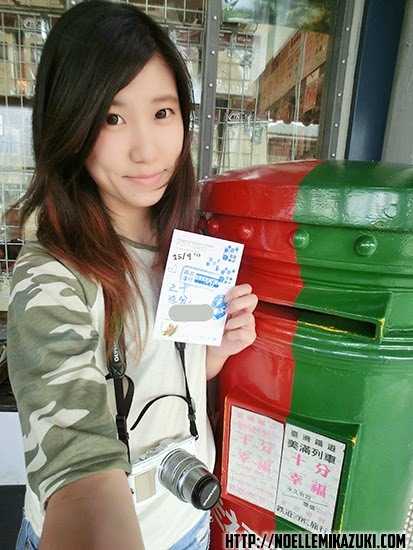 If you're lucky, you'll meet this really friendly old pap that'll help you to buy your tickets, with no additional fee. If not, follow the steps below and you'll be good to go. 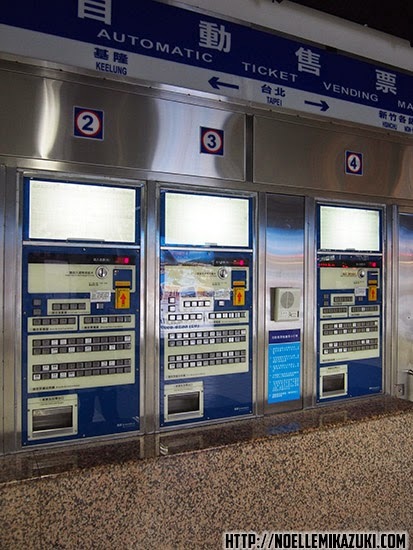 A round ticket costs you NT88, est SGD3+! 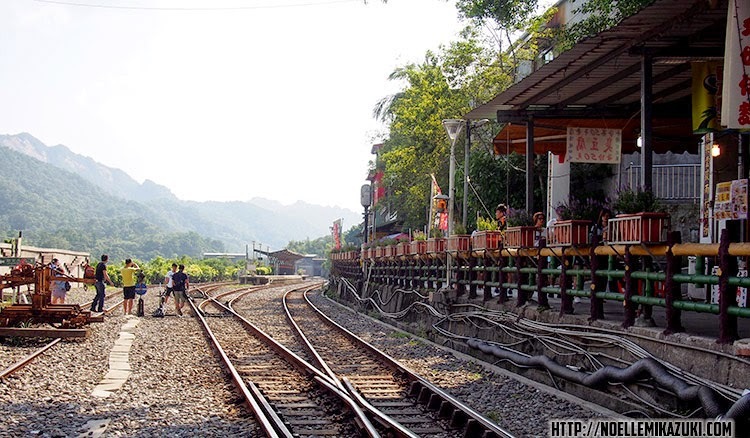 Up till now, I still somehow find the platforms confusing. 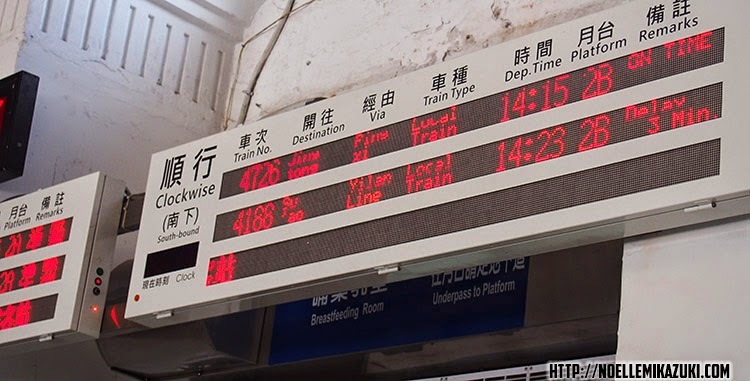 So main point is, check the timing of your train against the one on the platform board. If you're still unsure, ask the TRA staffs, they're really friendly. 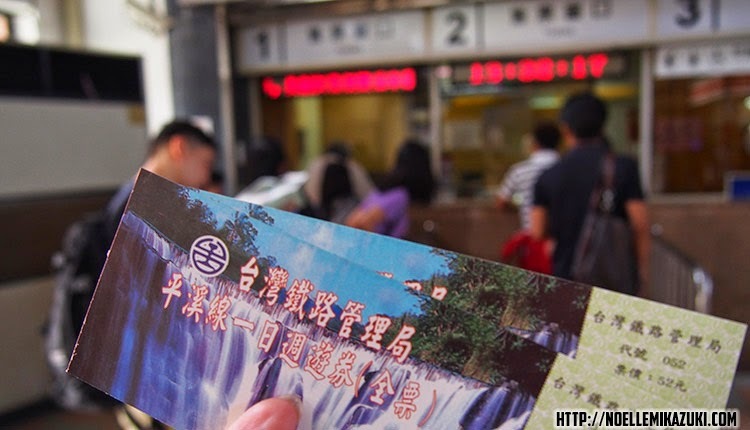 And when you reach Rueifang station, you gotta come out and get tickets from Rueifang to Shifen at the counter right outside! 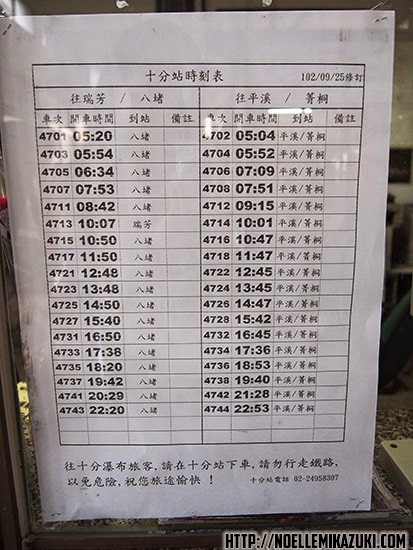 And make sure you board the right train, Pingxi Line, towards Jingtong. 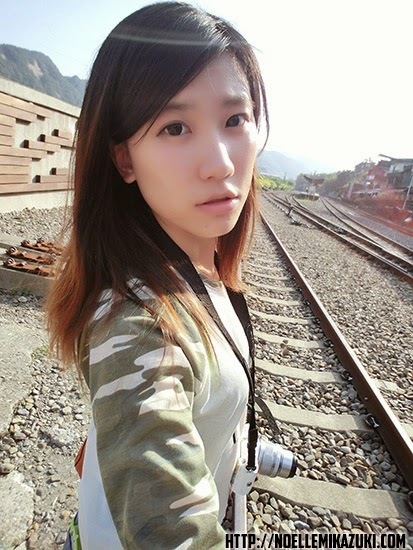 See how nice the skies and sceneries are in Taiwan?!! 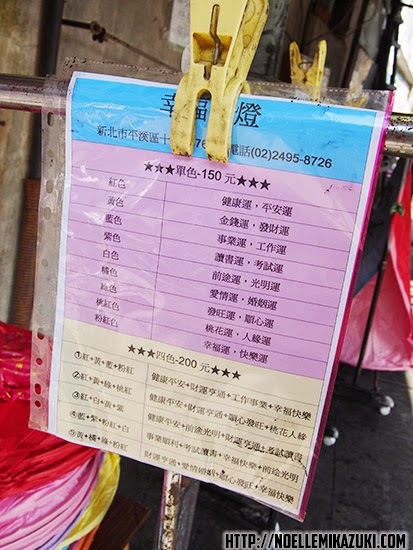 There's a whole stretch of Sky Lantern shops there, but all the prices are the same. There are mono-colored and some are multi-colored, costing NT150 and NT200 respectively. 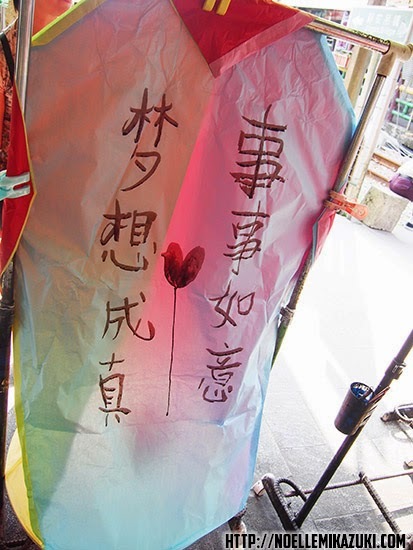 Of course, different colors has different "purposes"
These sky lanterns are said to grant you luck and make your dreams come true. So whatever you write in there, will supposedly come true. The most generic kind of wishes for greedy people like me! The shopkeepers there were really nice. 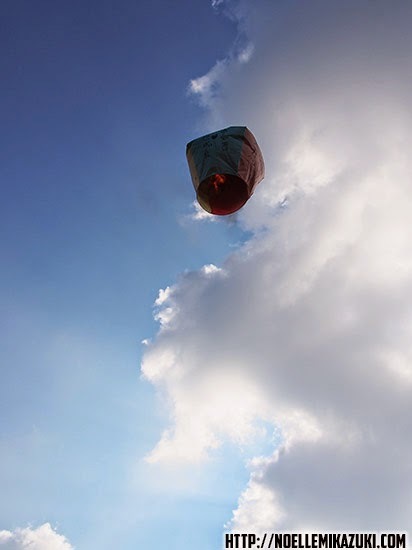 They'll offer to take pictures for you (with your camera) as you let the lantern off, all the way till the lantern disappears. So it's like a massive spam of photos on your camera/phone. And this is with no additional costs, of course. But I'd still recommend you to ask your friends to snapshot instead cause quality > quantity, right? What else can you do on that island? 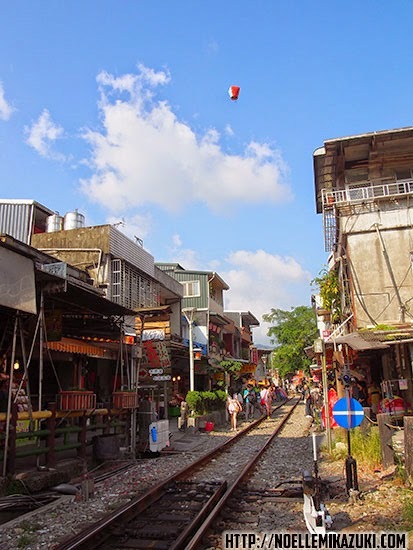 Stroll around and enjoy the street food and sceneries. 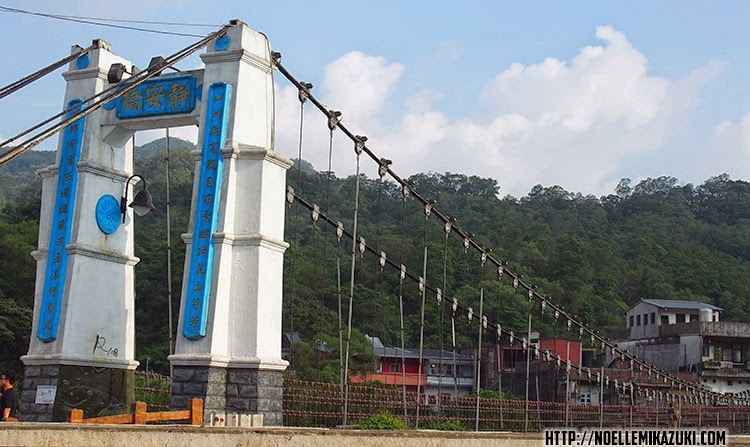 You could even cross this bridge to the other end but..I didn't dare to. 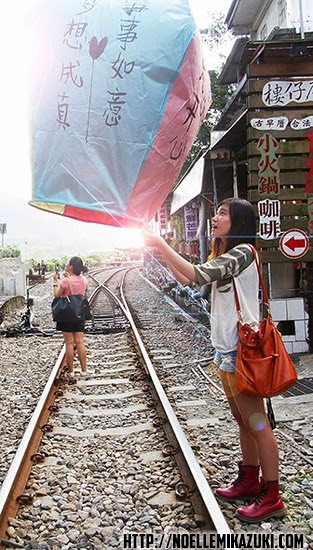 I've yet to experience that yet but I'd definitely include that in my next trip to Taiwan! 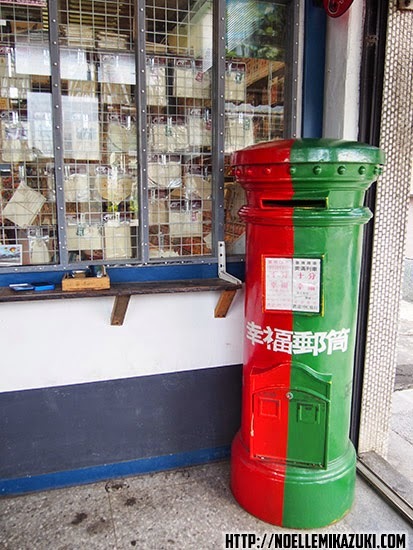 There's this store that sells postcard and you could use their stamps! They have so many pretty stamps!! 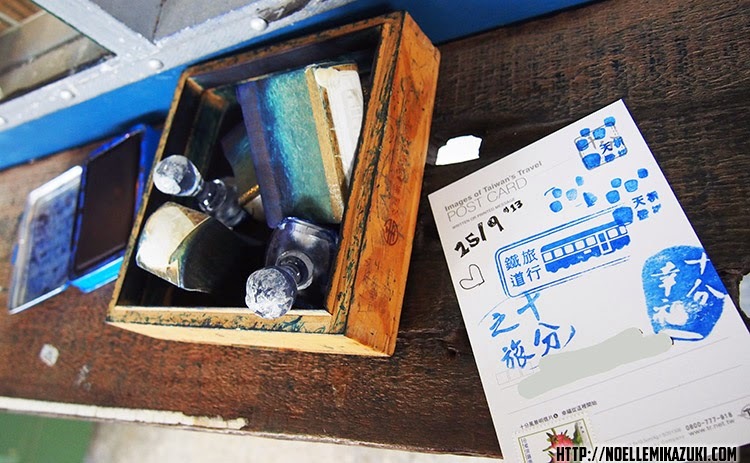 I saw a few travellers with their "stamp collection" book from all over the world! And do take note of the last trains back! If not you'd be stuck on that island for a night! I'll complete my Café Tour before my next trip to Taiwan! HAHAHA. P.P.S. 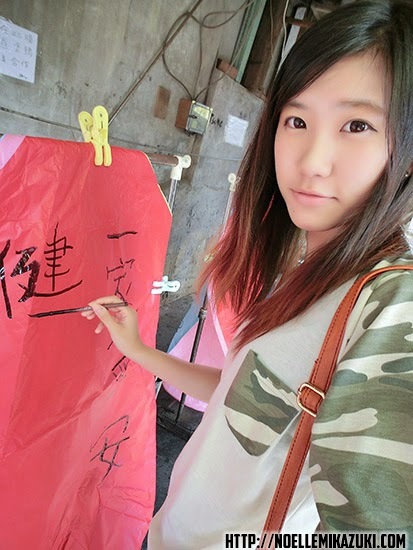 I'm not blogging about my 2014 Taiwan trip because it was mere leisure (I woke up at 1pm onwards when I was there! Hahaha!) and I barely took any photos.